I recently heard about a new initiative from Booths, a supermarket chain based in Preston with stores predominantly in North West England which has implications for both Booths and other shops local to their stores. Booths operate a loyalty card scheme and have recently changed the offers to include a "free daily regular hot drink from our café or hot food counter" for registered card holders, also offering free newspapers from some stores. There is obviously an appeal to customers with this - it really is a free drink, although not quite a free lunch. Booths have quite probably done this as a response to the similar offer made by Waitrose who have recently opened in Preston and target very similar customers to Booths. This offer is causing loss of business for some local shops, particularly cafés and newsagents who have lost a lot of business - it is hard to compete with "free" of course. Whilst this may mean Booths are getting more business, in the long term it could be detrimental to them, even if giving away drinks increases profit through customer spend on other items. Why? Some Booths stores are on the edge of small towns which currently have high streets which actually have genuine shops selling a range of products, these high streets in themselves attracting people to the towns, who then also shop in Booths. As an example, Garstang has a great high street with a wide variety of small businesses, including cafés and newsagents, providing valuable services for people living in and visiting the town. If these shops close there is less reason for people to visit Garstang, so they may go elsewhere, once that happens they won't visit the Booths store there either as there are other supermarkets with wider ranges of products (including larger Booths stores). So, by trying to compete with larger stores Booths may lose some of their own business. They are an organisation who state "we’ve built our reputation on sourcing great quality, unique local produce" which is great, and a philosophy I fully support. But to really support local produce they also need to consider the other local organisations, some of whom offer some of the products Booths sell, and ensure they survive and flourish. 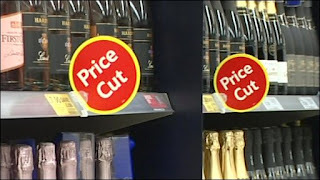 A short term gain can be a long term loss, and supermarkets need the smaller shops to survive. Whether customers like it or not! 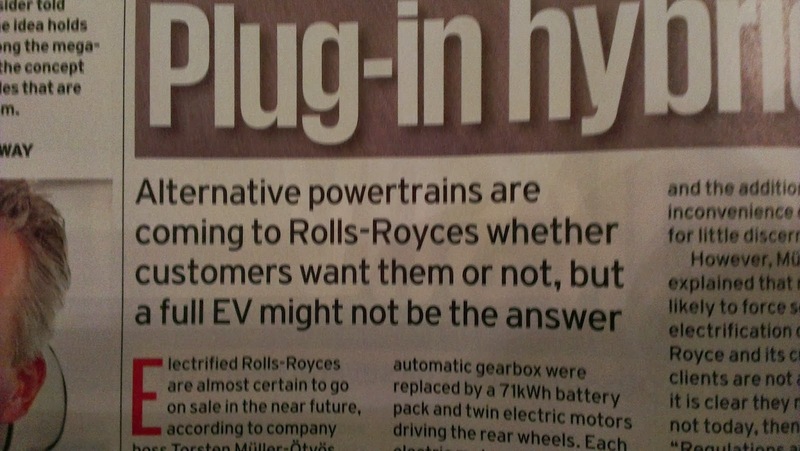 I just saw this heading and had to write a quick piece about it - this is the sub-heading of an article in Autocar magazine this week which discusses hybrid powertrains for Rolls Royce cars, but it is the wording of the sub-heading which caught my attention. Why would anyone want to do something which their customers wouldn't like? It is an attitude I have heard from a few people and organisations - this is the way we are going to do this whether our customers like it or not. What a strange attitude - find out if customers like it, and if not, don't do it but if they do, do it! It should be pretty simple really. As a brief explanation of the article, Rolls Royce build a prototype electric car and customers didn't like it because of the limited range provided. 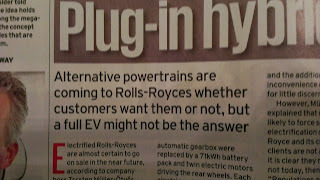 Rolls Royce dropped the idea but with increasing regulatory pressure it is very likely that to drive in some cities in the future it will be essential to have electric power so the solution is hybrid - electric for short range and petrol elsewhere. It may not be what customers want, but if it is the only way they can use their cars they will probably realise they need it! Have you ever done something your customers didn't want? If so, why? And did it work? When it comes to customer service and building relationships it is often little things which make the difference, something which I experienced recently highlighting this. There are times when I use DHL for deliveries of parcels and so get to chat briefly with the drivers who collect and deliver the packages. I'm a bit late posting this as he has moved to a different area now but the regular driver for my area recently, Jamie, is a friendly guy who always chatted a bit when I saw him. Earlier in the year I left my office in the middle of the afternoon and saw Jamie just about to get in his van on the road nearby, he waved as I went past. As I knew there would be no one at the office to sign for a package if he had one for me I thought I had better check so stopped. Jamie got out of his van and came over to me and confirmed that he didn't have anything for me, adding that he didn't have anything addressed to me at home either, but did I need him to collect anything? None of that is a major issue, but the fact that he took time to let me know, was aware enough of what he was doing and also connects my home and office addresses makes a difference so well done Jamie, and thanks for your help. Things like this make my life easier, and also made life easier for Jamie as he could sometimes do one delivery either to home or the office rather than doing two. But in terms of loyalty it means that I have good reason to continue using DHL which is good for them. A little thing which makes a difference to me and DHL - what can you do to make a difference to your customers? The title is probably an exaggeration, we rarely see sense from governments of course! 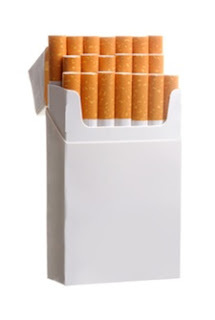 The reason I say this is that as a marketer I am pleased to see that the government have, for the moment, cancelled plans for cigarettes to be sold in plain packaging and the minimum price for alcohol. I understand the reasoning behind the plans, and have some sympathy with the issues, although I personally don't agree with the methodology which was suggested to tackle the problems. But the real reason I am pleased with today's news is that as a marketer the two proposals worried me - they both related to areas of the core 4P marketing mix. The plain packaging for cigarettes relating to both product and promotion and the alcohol obviously relating to price. The proposals would have taken these areas away from the marketers concerned. My belief is in freedom of choice, with full information available to the potential customer, and this proposal would have taken this away. Which is why I am pleased about it! Another motoring related blog - apologies for that but this is about the business model rather than the car! Whilst there are many reasons to choose an electric car a major concern buyers have had about them is the lack of range and then finding a charging point, plus the time taken to recharge the battery when that happens. It seems that electric only car manufacturer Tesla Motors have found a solution for this - their battery swap scheme which allows a full recharge to be completed within 90 seconds. This makes it quicker than filling a car with petrol or diesel. Once there is a full network of locations for this it should overcome the 'range anxiety' people have in relation to electric cars and is a great example of taking one element of a new business and helping to ensure it is successful through providing the additional support facilities required. Apple did this with the iPod, making downloads acceptable to both the music industry and customers. Maybe this will work - next thing for Tesla, how about ensuring the electricity used is generated in non-polluting ways! Those who know me (or regularly read this blog) will know that I am a petrolhead - this is from both the car perspective and the business perspective of the car industry. This blog explores a bit of both. Le Mans. The home of quattro. I find this strange, Audi introduced quattro in the early 1980s as four wheel drive versions of their cars and used it very effectively in rallying, a very different form of motorsport to the Le Mans race. 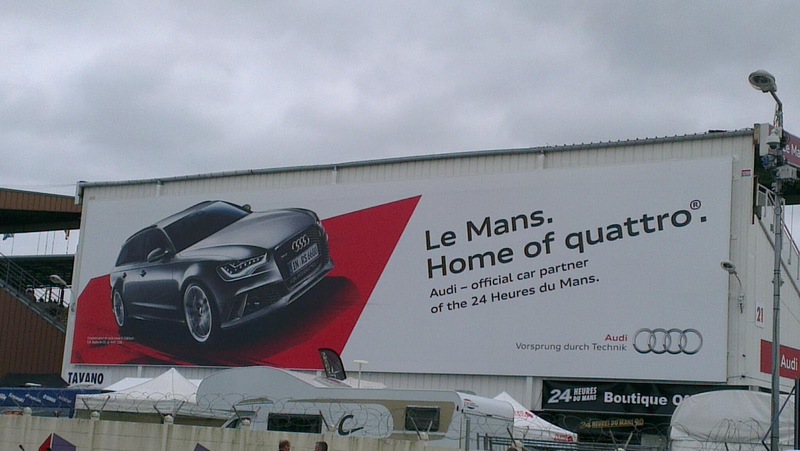 2013 is only the second year that Audi have used four wheel drive at Le Mans so I am not sure that makes it "The home of quattro". To me, the forests used for rallying are the home of quattro. One of the people I am at Le Mans with, on seeing the poster, said that it was just down to marketers and complete rubbish (he didn't know that I am a marketer). The problem I have is that I think he is probably right so what are Audi doing? I would love to hear from them to understand. Are you loyal to your bank? A news piece on the BBC website today - Current account switching to be hassle-free - relating to new processes to make it easier for bank current account customers to switch accounts is interesting in terms of customer loyalty and banks. Many of us stick with the same bank for many years, transacting many times a month with that bank. In many respects this could imply that we are happy with the service and keen to keep using the service of the bank we have accounts with but in practice this may not be the case. Many people stay with banks because it is not easy to move accounts and there is the worry that things will go wrong and that could have negative consequences for our longer term finances - this is nothing to do with loyalty. The interesting thing will be how banks react to the new process, as they will be encouraged to display the sign to show that they are part of the scheme to make it easy to switch. What will they do to encourage people to stay with them, knowing that they have to make it easy for them to leave? I will add that I think banks have probably improved a lot over recent years in terms of some levels of customer service, but they need to ensure customers are really satisfied to maximise customer retention if it gets easier for us to leave, especially with the new entrants to the market we are now seeing. Not just that, they need to consider additional ways to encourage people to switch to them from others once it is easier to do this. What could your bank do to help encourage you to stay with them? Or what would encourage you to move to a different bank? What I would hope is that any incentives to encourage new customers are such that they don't make those who are existing account holders feel they are not getting as good a deal as has often been the case with mobile phone networks and similar. Price is always an interesting and complex area for marketers to deal with and get right but today I saw an example which shows how price isn't always proportional to the amount of product received. At a mainline rail station and wanting some water to drink I looked at one of the station vendors and saw water at £1.89 for 50cl - paying almost three times the price of petrol for water didn't appeal so I went into the Sainsbury's local in the station and saw that they had their own brand Caledonian water at 50p for 50cl - much more realistic! However, I then noticed the 2ltr bottle at ......... 50p! So four times the quantity for the same price, why would anyone buy the smaller bottle? There was also a 75cl bottle (with sports cap) for 89p. All these were the same brand and therefore should be identical product. This shows a great example of pricing to recognise the customer need, the convenience of the smaller bottle makes it attractive even if you can get four times the amount for the same price, whilst some will pay more per volume than the other options for the sports cap on the 75cl bottle. Selling less volume for a higher price to people willing and happy to pay for it - how great is that! The lesson from this - make sure you understand your audience and how to maximise their spend, whilst offering options, an area covered in various CIM qualification course delivered by SPA Professional Academy. And which did I buy? The 50cl bottle, because it was convenient and I didn't want to carry a 2ltr bottle with me. When visiting offices with car parks there is often an indication of the importance of visitors (very often customer) by where reserved spaces are for them. Nearly everywhere I have been recently has had the visitor spaces nearest the door, indicating that the organisation sees visitors as important and wants to make it easy for them. Some have no priority, giving all staff the same level of importance as visitors, this is ok because it shows staff are important to the organisation. Of course, in some organisations the directors think they are he most important and reserve themselves the spaces closest to the door - I don't think that is ideal as a message to either visitors or employees. However, the priorities I noticed in a car park this morning are even worse. I had to visit my local doctors surgery, fortunately something I very rarely do, and noticed that not only do the doctors think themselves more important than their patients (their customers) and other staff but actually above disabled people. 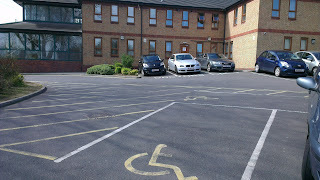 The doctors have the spaces closest to the door, even closer than the disabled spaces and those for other staff. Able bodied patients have the furthest to walk. I do find the positioning of the disabled spaces in relation to the doctors ones quite concerning, but at least I know how important I'm not to them! Or am I just being over-sensitive? Let me know what you think. 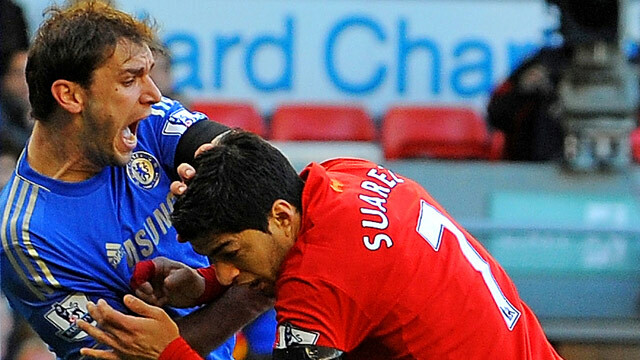 Apparently one in five Which? members have bought an own-label product thinking they were picking up the branded product. Is this something you have done? The investigation could certainly lead manufacturer brands to consider if the own-brand products are "passing off", undermining their reputation. 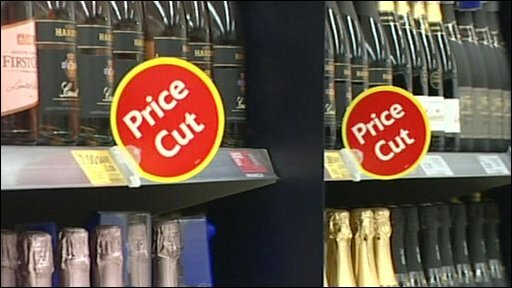 The retailers questioned about this claim that they are selling products in the same colour as the main brands as it helps customers with recognition, making shopping easier as they can find the products they want. But if people then purchase a product by mistake has it really helped them? It is an interesting area for brand marketers, and the marketers within the retailers. A few years ago I went to a talk by the then Marketing Director of one of the major UK supermarkets, he essentially said that his job was to undermine the marketing efforts of the major brands to get people buying their own-brand products instead. Effectively this means that the retailers are in competition with their major suppliers of course. It seems the brands need to do a better job of ensuring customers can recognise the genuine products and buy them if that is what they want, but I do hope they don't go down any legal route to protect themselves as that can be negative for their reputation. Any thoughts? One area I often discuss when teaching the CIM Chartered Postgraduate Diploma, especially the Emerging Themes unit, is collaboration between competing organisations to develop products. The reason for doing this is to save costs on areas where differentiation is not important and no advantage will be gained by any party involved but cost saving can be made. A great example of this has recently been announced by Ford, Renault-Nissan and Daimler who have agreed a joint development of fuel cells in the hopes of bringing cars to market using the technology by 2017. The announcement shows the benefits of working together for breakthrough technologies such as fuel cells which have the potential to change the cars we drive in a major way. If one manufacturer were to do this on their own it would take longer, the costs would be higher or at least not shared, and there would be lower numbers of cars sold using the technology. This final point is very important in this situation as a fuel cell vehicle will require an infrastructure of filling stations to enable it to be used in what we might regard as a normal way. If there are cars made and sold by these three large organisations all needing that infrastructure there is more reward for investing in it, making it much more likely to happen. The Emerging Theme is more likely to emerge through the critical mass the joint development can bring about, demonstrating clearly the benefits of that collaboration. Back in February 2010 I wrote a blog post about Toyota (link here) and their corporate reputation which at the time was suffering from large amounts of adverse publicity due to alleged problems with many cars sold. Since then Toyota have suffered from other issues which were not at all related to their own actions - the Japanese earthquake and severe flooding in Thailand - which affected their ability to manufacture and sell cars. They have also carried out a number of recalls to rectify some potential faults with quite large numbers of cars they sold. However, despite all of that, figures recently released show that in 2012 Toyota were once again the largest car manufacturer in the world, with a 22% increase in sales over 2011. Whilst undoubtedly there were a number of factors involved in this success one element contributing to it must be the way Toyota have been absolutely honest in their communication about the technical issues, however small they may have been, and the reassurance to owners and others that as an organisation, Toyota will do all it can to ensure there is no compromise in the safety of their products. The have managed their corporate reputation very well on a global scale and the issues which generated such negative publicity have been overcome. Amazon have just announced what appears to be a great differentiator in a crowded market which should give a more compelling proposition to customers. Only available in the US at the moment but they are offering a free cloud based mp3 version of music customers have bought on CD from Amazon since they started business in 1998. Amazon are competing against Apple and Google for the cloud storage business of customers, and I would suspect many customers will largely use one facility predominantly, this gives Amazon great advantage as suddenly their customers already have the music they have purchased available on CD during the past 15 years available in the cloud, so why not build on that supplier facility to store anything else. In addition, when purchasing music in the future, buying a CD from Amazon will mean it is available as a download in addition to the physical version without any effort required. Despite Apple and Google not offering physical CD sales (something I saw recently indicated that something like 60% of music is still sold on CD rather than as download) the market is still huge and Amazon get the best of both worlds with this new offer, as do their customers. A great bit of lateral thinking from Amazon which could easily give them great advantage in the cloud music market which is still in the early growth stage. I'm looking forward to it coming to the UK, and as a personal plea to Amazon, please do the equivalent with Kindle books - I would love physical copies of many that I have on my Kindle but don't want to pay twice!